Research papers on the alienation of Camus' character Meursault in The Stranger include a summary of the elements of absurdism. 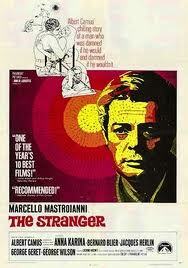 Famous works of literature like Albert Camus' The Stranger can look at a particular theme or character. For example, our writers like to explore the theme of alienation in relation to Meursault. By writing about a single theme, your project is guaranteed to be succinct and flawless in its direction and goals. The theme of Camus' The Stranger can be summed up in the ending words “I learned very quickly that none of it really mattered”. Whether Meursault was a victim of society or a martyr, he certainly was the epitome of alienation. One event after another lead to the cyclical nature of absurdism in Meursault’s existence and the result was his alienation. This was illustrated early on in The Stranger with Meursault’s telling of his mother’s death. "Maman died today. Or yesterday maybe, I don't know. I got a telegram from the home: 'Mother deceased. Funeral tomorrow. Faithfully yours.' That doesn't mean anything. Maybe it was yesterday." The blunt, mater-of-fact manor of Meursault’s reaction illustrated his dereliction in feeling and the social ineptness that his isolation had evolved into. Meursault rarely shows any feeling when in situations which would, for most people, elicit strong emotions. Throughout the vigil, watching over his mother's dead body, and at her funeral, he never cries. He is, further, depicted enjoying a cup of coffee with milk during the vigil, and having a smoke with a caretaker at the nursing home in which his mother died. Paper Masters writes custom research papers on Meursault and Alienation and discuss the alienation of Camus' character Meursault and includes a summary of the elements of absurdism.